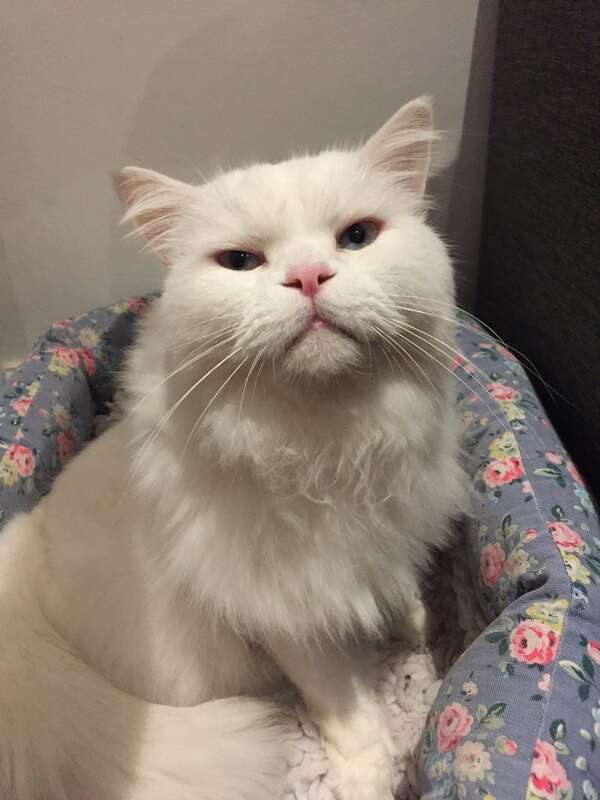 UPDATE:- SNOWY REUNITED ❤️😻❤️. Message from Jane who has fought passionately to get her boy home: Snowy is home! We collected a stressed Snowy from the vets yesterday late afternoon. The people who found him took him away last May, vets treated him two weeks ago and Petlog contacted me to give permission to transfer the microchip data to the new ‘owner’. If I hadn’t involved the police, they would not have returned him. The system is broken – they thought they were better keepers! They’d like us to keep them informed on how he is doing – the sheer audacity! 4th February 2019! Snowy missing since May’18 now reported as stolen as finder will not return him to his heartbroken family! 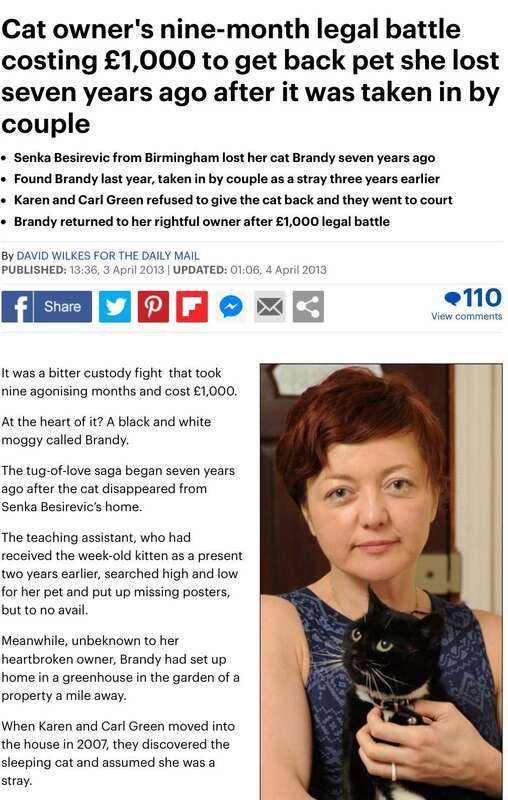 The old article below is from 2013 but we have just shared a post on missing Snowy who’s owner is in the same predicament, January 2019. A microchip is not proof of ownership, we are not owners we are ‘keepers’ – which only indicates where the pet resides. “Does anyone know where Snowy is? He is alive and I’m hoping still in the area. 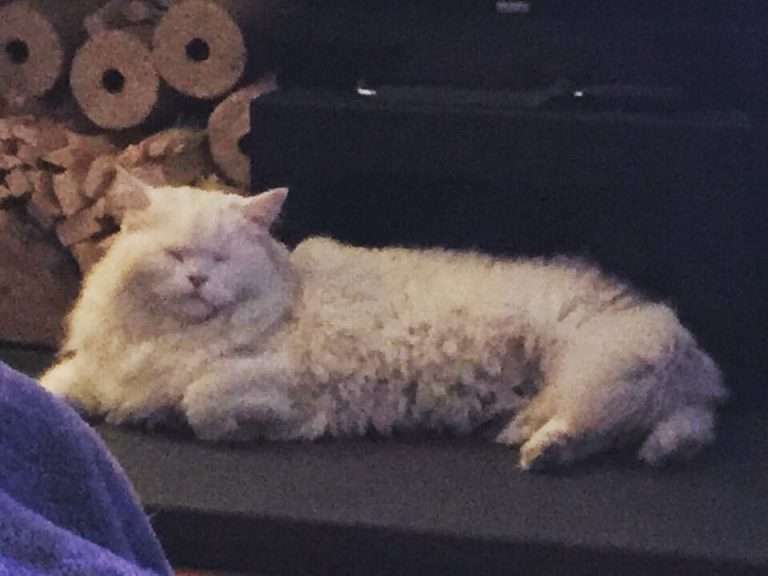 Petlog have made contact and we’re dealing with recovering him legally, but if you have seen or know of this long haired, blue eyed, male cat please encourage the family who have him to make contact so we can try and sort things out. An update: Thank you for helping me raise awareness – I’ve been invited onto BBC Radio Shropshire on Monday morning, 7 am and 8 am, (28th January’19) to talk about this issue – and I’m going to be calling for a change in legislation to ensure owners who find themselves in this position get more help from the vet, micochipping company and police to recover the animal quickly. I can confirm that West Mercia Police have not as yet contacted Petlog in regards to this microchip record. Petlog say:- Petlog cannot make any adjudication on any dispute over legal ownership for any pets. The microchip implanted does not denote and equate to proof of legal ownership and does not give or transfer such rights of legal ownership. The microchip record is intended to assist reunification with the keeper if the pet goes missing. The primary purpose of a Petlog registration is to hold a record of the current whereabouts and physical location of a microchipped pet for the purpose of identification of such pet in the event the pet becomes lost or stolen. This is Brandy’s story from 2013. There has been no improvement to the microchip system in all that time! How many pets disappear this way?